A little over a week ago, I observed Rosh Hashanah with Baby's family in Long Island, as I recently transcribed the events here, and this past Monday we broke the fast on Yom Kippur in Manhattan. Having been brought up as a Catholic, we'd have a single day of Christmas with a generally drunken bacchanal on the eve, and then we'd eat alot at Easter. Of course there is the trial of Lent where the Catholics are supposed to give up something like smoking, chocolate or soda for about a month prior but I don't think I really know anybody who ever did that. However, Baby's family and Jewish friends atone, fast and reflect and ultimately celebrate for what seems like weeks at a time. I had been itching to make chicken livers with shallots and marsala and thought this might be a good thing to bring to the break fast--nothing like a good shot of iron, and a little wine, you know? I avoided somewhat of a gaffe when I spoke to our Yom Kippur hostess of my plan and she told me that meat is generally not eaten on this holy day: it's pretty much just fish. I immediately turned my thoughts to gefilte fish and a recipe I'd seen on Martha Stewart's show several years ago where the dish was served with beet horseradish. Now, I used to think of gefilte as the gray, gelatinous muck that looks like little brains bottled up for laboratory experiments on grocery store shelves but I remembered being so struck with this particular recipe on Martha's show and the idea of making it fresh that I wanted to try my hand at it. So finally I had the chance. Baby told me that people rarely make their own gefilte fish and that bringing it homemade to the table would be a real treat. I just hoped that I would be successful in the execution, as I had no idea what it was supposed to taste like. We bought the pike and whitefish on Saturday, all six pounds of it! There was more pike than whitefish, which concerned me, as the recipe suggests an even amount of each but the fishmonger assured us it would be fine, as whitefish has a very persistent flavor. We asked that he grind the fish for us, and reserve the head and bones for the stock. Once we purchased the rest of the ingredients, when we got home, I took off my watch and set to work with sheer abandon. Before long, I was up to my neck in ground fish and chopped onions, with dashes of sugar, kosher salt and matzo meal thrown in, mixed well with several large eggs and water to bind everything together. The fish mixture sat in the fridge for about two hours, until firm. I felt like a char woman: I hacked apart the fish bones with kitchen shears and tossed them with the heads into a pot with quartered onions and carrots (there was no peeling, they went in skins and all) and ripped celery into pieces with my hands. A few cloves and dill sprigs followed, and everything was just covered with water and brought to a boil to make the stock. It simmered for about 45 minutes and was a delight to sniff as the fish and vegetables became acquainted. We strained the solids from our stock and set aside. In the meantime we grated fresh horseradish and peeled cooked beets, and tossed them together with a little salt and cider vinegar, to serve as the delicious, pungent accompaniment. When the fish mixture was ready, we dug in, frequently wetting our hands with cold water to form delicate oval shapes (about 2 tablespoons each) and gently placed them into our reheated stock, to which we had added a few carrots. We did this in batches, 20 minutes each. 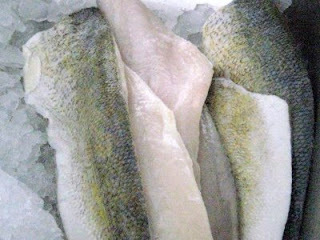 Once they had all cooked, we arranged in a large baking dish, poured the broth over the fish, covered and let it cool. The whole thing went into the refrigerator and we awoke the next morning to gefilte fish, suspended in a perfect jelly. At the break fast Monday evening, the spread was full out--we had creamed herring, pickled lox, smoked salmon, whitefish salad, an assortment of bagels, a variety of flavored cream cheeses, incredibly ripe tomatoes, egg salad, Baby made deliciously inventive wasabi tuna devilled eggs topped with caviar, and ice buckets were filled with white wine and prosecco for mimosas. I humbly set out leaves of rich purple radicchio on a platter topped with my gefilte fish and a little of the jellied broth. The beet horseradish went on one end, with a side of chilled jullienned carrots on the other for balance. Traditionally, the carrots are cut into coins, but being the goy, I wanted to assert just a touch of something different. I forgot the dill garnish. So how did it taste, this journey into the unknown? Well, I loved it. It wasn't too fishy, the onions mellowed, the texture seemed just right and the beet horseradish did the trick. After several compliments (including one from our hostess) I think it's fair to say it was a success. What I took most to my heart was when a guest I had just met told me, "This is better than what my Grandmother used to make." Imagine? Needless to say, I was rather verklempt. When I first met Baby's father several years ago, he hugged me and said "welcome to the family." Indeed this was how all of the in-laws reacted; this wonderful, crazy Jewish family has embraced me and welcomed me on all of the high holidays or any other visit. And believe me, it's alot of family. I never had that. Basically, my Catholic parents were only childs and had also lost their parents early. My mother lost her mother when she was born and my father's father walked out on him. Being so welcomed by Baby's family was tremendous to me as my middle brother is rarely able to make the trek home to New Hampshire from Tennessee with my beloved niece--and my oldest brother who lives only about five minutes from my parents rarely has the interest. My cousins always get together over the holidays however and I love being part of that assemblage, but I've always felt somewhat removed, I think because when my Mom and I would visit over Christmas and Easter, it was almost as if we had nowhere else to go. Actually, apart from being with each other at home with my father, we didn't. And I at least felt, before I met Baby, like a lone wolf as my cousins were all married with children and there I was, traveling single-o. When I made my first schlep to Long Island to celebrate Baby's niece's Bat Mitzvah, that time I first met the whole family, I had a reason to be there. I was with my honey, to celebrate his niece's coming of age. I was, at last, part of a huge family that loved and drove each other wild but cared enough to be together, and allowed me to be part of all of it. We traveled to Long Island again for Rosh Hashanah (the Jewish New Year) this past beautiful Saturday, and the Friday night before, Baby made challah bread. * I watched from the wings, but also helped braid. For this holiday, the bread is round, not elongated, to represent the circular nature of life. Our challah was made with four strands of dough, crossed under and over, each end piece braided and tucked underneath to make a perfect loaf, set aglow with a glaze of egg wash and topped with sesame seeds. At the all-day affair in Dix Hills, our lunch started out around 12 o'clock with a platter of bagels, vegetable cream cheese and lox and incredibly fresh white fish, tuna fish and egg salad, a spread of vegetables and hummus and sweet noodle kugel. I even tried herring with onions and cream in a mid-celebration nosh. Very rich! We also had gorgeous, delicious Honey Crisp apples with honey, as tradition dictates, in hopes of a sweet year. A trip to the Mister Softee truck and requisite naps here and there followed in the lazy afternoon before we all broke bread in the evening over chicken noodle soup with matzoh balls, brisket, mashed potatoes, barley and mushrooms and Schnitz's special chicken with fried onions and Peter Luger's Steak Sauce. And it's not over yet of course. For Yom Kippur I'm going to try my hand at gefilte fish with fresh beet horseradish to break the fast. L'shana tovah, everyone. *Here's what we did to make challah bread from The Silver Palate Cookbook by Julee Rosso and Sheila Lukins, published by Workman Publishing, with a little more milk and egg yolks to make three loaves instead of two. 1. 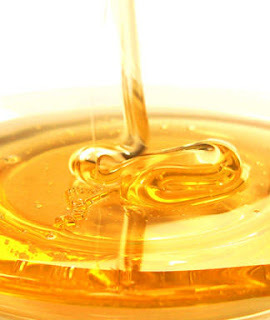 Bring milk, 6 tablespoons of butter, and the sugar to a boil together in a medium-size saucepan. Remove from heat, pour into a large mixing bowl, and let cool to lukewarm (105° to 115° F). 2. Stir yeast into the milk mixture and let stand for 10 minutes. 3. Beat 3 of the eggs well in a small bowl, and stir them and the salt into the milk-and-yeast mixture. 4. Stir in 5 cups of the flour, 1 cup at a time, until you achieve a sticky dough. Flour a work surface lightly and turn the dough out onto it. Wash and dry the bowl. 5. Sprinkle additional flour over the dough and begin kneading, adding more flour as necessary, until you have smooth elastic dough. 6. Smear the reserved 2 tablespoons of butter around the inside of the bowl and add the ball of dough into the bowl, turning to coat it lightly with butter. Cover the bowl with a towel and set aside to let dough rise until tripled in bulk, 1 to 2 hours. 7. Turn dough out onto a lightly floured work surface and cut into halves. Cut each half into 3 pieces. Roll the pieces out into long "snakes" about 18 inches long. Braid three of the snakes together into a loaf and tuck the ends under. Repeat with remaining snakes. 8. Sprinkle a large baking sheet with the cornmeal, and transfer the loaves to the sheet. Leave room between the loaves for them to rise. Cover loaves with the towel and let rise until nearly doubled, about 1 hour. 9. Preheat oven to 350° F.
10. Beat the remaining egg and 1 tablespoon cold water together well in a small bowl. Brush this egg wash evenly over the loaves. Sprinkle immediately with poppy seeds to taste. 11. Set baking sheet on the middle rack of the oven. Bake for 30 to 35 minutes, or until loaves are golden brown and sound hollow when their bottoms are thumped. Cool completely on racks before wrapping. Makes 2 large loaves. Next Magazine - Bottoms Up! The lyrical poet Ogden Nash once wrote, “Candy is dandy, but liquor is quicker.” With that in mind, I’ve amped up a few childhood favorites, perfect for a grown-up cocktail hour or just a time out. Pomegranate vodka subs for grenadine and the fizzy stuff replaces ginger ale for a decidedly adult Shirley Temple. Pour vodka in a tall flute and top with Champagne or prosecco. Garnish with a lollipop pilfered from the famous “good ship” bearing the same name. 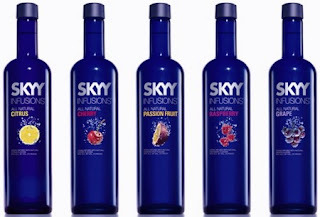 Skyy Infusions come in a variety of fruity flavors that make drinking even more fun. With their cherry vodka, a Lime Rickey from a soda shoppe surely pales in comparison. Pour over rocks in a highball glass and stir. Garnish with a maraschino cherry and a lime wedge. Say “bye-bye” to Grape Nehi with this treat. Tastes grape! Mix ingredients in a double old-fashioned glass filled with rocks. Stir well and get high a kite. Please fly responsibly. Chef Ralphael celebrates authentic Greek cooking at Thalassa with a particular emphasis on classic and modern Greek seafood dishes. A native New Yorker, Chef Ralphael learned to cook from his mother and grandmother. His passion for seafood and contemporary Greek cuisine developed early on in his career. His starting position at Thalassa was sous chef when it opened in 2002. 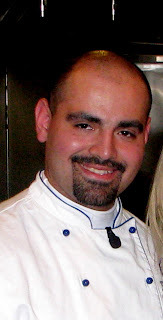 In 2007, he was promoted to Executive Chef. He has consistently infused Thalassa dishes with his personal signature: a love of seasonal ingredients and a fundamental respect for the freshness and simplicity integral to the Greek palate. 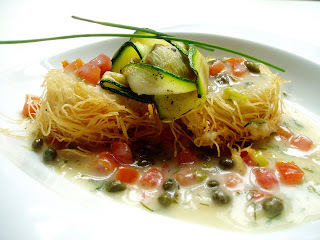 At Thalassa, he offers a modern twist on classic Greek recipes. Here's how to make it at home. Thanks Ralphael! Top with dill and delight! Recipe first published in Next magazine. I posted several things about meatballs over the summer, which I bitterly refer to as the wettest of all seasons. Whatever you choose to call it, weather-wise, this summer was a definite wash out. Perhaps this will be the last post concerning meatballs, but I can't promise. Baby and I were just given a side of venison and all sorts of ideas of what to make with it have sprung forth. For all I know, venison meatballs may just be in our future, to fuel us in the cooler months. Sadly I have to accept the fact that we may only have a few days of Indian Summer left over, so before I let it go, I'd like to reminisce for a moment on how we dispensed with some of our leftovers (including meatballs) over the summer before I put a cap on the whole damp thing. George Carlin made a joke, as another witty friend reminded me, about leftovers and why they make you feel good twice: first for being thrifty, and again when you save your life by throwing them out. But we didn't throw our leftovers out! In our own home, our perhaps Top Chef-inspired Kitchen Challenge was to make dinner from ingredients we already had on hand, which included some leftovers that of course, were still fresh or frozen and perfectly good. Shrimp Pesto Pasta was created from a bag of frozen jumbo shrimp that we first thawed in a quick rinse under cold water, then grilled on our All-Clad panini press (yes! it's not just for panini!) with a little olive oil. We further poached the shrimp in a pork stock that Baby had made and froze from some of the borczek left over from our Eastern European dinner earlier in the summer. We also could have just subbed chicken or fish bouillon for this. Whole wheat pasta staring at us from the cupboard was tossed with pesto (we already had the pine nuts and olive oil, I just grabbed a fistful of basil from the roofdeck communal stash). Borczek made another appearance, thawed, cubed, sauteed and tossed in. It was delicious. 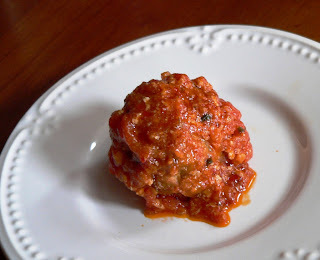 Another evening this summer, we had made Marian Curcio's Meatballs and we made so many that we had some leftovers--five fine, juicy orbs to be exact. We were in a quandry of whether or not to freeze them (they are great to freeze, by the way, if not even better, we discovered after heating up a more recent batch) for a later date, but decided just to eat them a few days later. But what to serve with? I considered the zucchini from a friend's city garden that would have perished if we didn't use it soon. Pillsbury Crescent Rolls were in our fridge, still in the tube, so I knocked it on the counter to free the dough and spread the whole thing out on a cookie sheet, made an onion and garlic balsamic jam (sautee onions and garlic in olive oil until yellow and softened, deglaze with balsamic vinegar, turn off heat and add honey to thicken) to spread on the dough, topped with shaved zucchini (let drain in a colander first for 30 minutes) and placed it in a 425 degree oven until browned (about 17 minutes or so) to make zucchini pizza. If you have any petulant cheeses lurking about, such as gruyere, grate that on as well before baking. As there were only five meatballs left, we each had two. When it came to seconds, naturally I let Baby have the last meatball. "As interesting and complex my mother was as a person, that definitely wasn’t what she was as a cook. Meat, potatoes and bacon fat ruled the days of the week. Saturday's lunchmeat sandwiches, potato salad, pickles and beer graced our Formica kitchen table. Sundays were reserved for my grandmother’s cooking. 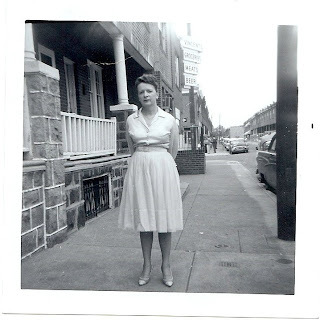 Looking back, I would have to say that I loved Saturday dinners because of my mother’s potato salad. I have served many types of potato salad in my day and I appreciate them all, even the Russian kind that is purple but whenever I make my mother’s recipe, I get the most compliments. Sometimes simpler is better. I remember my mother saying, 'you don’t need to put any extras in your potato salad to make it taste good...the same goes for having too many extras in life.' I tend to agree with this sentiment so here is a simple potato salad recipe I would like to share with you special readers of Evenings With Peter. I wish you the simple good life." Place unpeeled potatoes in a large pot of water. Bring to a boil and keep the heat high boiling them until they are soft. As they are cooking, dice 4 celery stalks and 3/4 of a yellow onion. Make sure the diced pieces are very small, no large chunks please. Do not use a food processor. Once the potatoes are soft, place them in a colander and run cold water over them as you peel off the skins. Place them in a bowl and smash them with a fork or use your hands. Add Hellmann’s mayonnaise, don’t skimp. No diet stuff, no other mayo either. Add diced celery and onion. Add salt and pepper if you like. Serve yourself and anyone who is lucky enough a warm plate as soon as it is done. Cool in the refrigerator. Keeps for a few days if you can refrain from sneaking spoonfuls in the middle of the night. Everything But The...All-Clad Reduction Pan! Williams-Sonoma is my Tiffany's. You know, when in Breakfast At Tiffany's, Holly Golightly blissfully asserts that nothing bad could ever happen there, and that they've got the most charming employees, etc.? That's how I feel when I enter Williams-Sonoma. I become sorta fuzzy all over and exhilarated at the same time by being around all the pots and pans and dinnerware. I lovingly stare at the Breville kitchen equipment and Japanese knives crying out to slice and dice a tomato with the precision of a culinary Ninja on olive wood cutting boards, and oh! something, anything from the heartbreakingly gorgeous, prohibitively priced Ruffoni hammered stainless steel collection wrought from workshops in Alpine Italy, and yes! the sturdy Mauviel copper pots, all the while musing that, "One day...this...will be mine!" Sometimes I do go a little overboard when I find a brilliant set of glasses, a particular table cloth or dish towels, herb snippers, or a fine mesh sieve that I must have. I wait though. At least a day. Maybe longer. I feel that if I make the trek back then it truly must be something I really want. I do that with most things when shopping. My credit card company loves me. As you go along in life, whatever your passion, one of the great passages it seems to me is the importance found in replacing old, merely functional items in your kitchen or wherever, with solid, better quality items that will last forever, things that are more satisfying to use. For me, I started chucking out stuff sometime in my 20's and over the years, it's all been replaced, one Le Creuset pot, All-Clad pan or Henckels knife at a time. The All-Clad Reduction Pan is a gem. Baby makes his stock, I make my reductions. 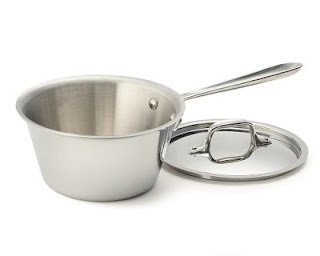 This pan actually assists with both in the most marvelous, stainless-steel way: measure marks are etched inside the pan in cups and liters! When a recipe calls for a sauce or a stock to be reduced to say, one cup, just read between the lines.